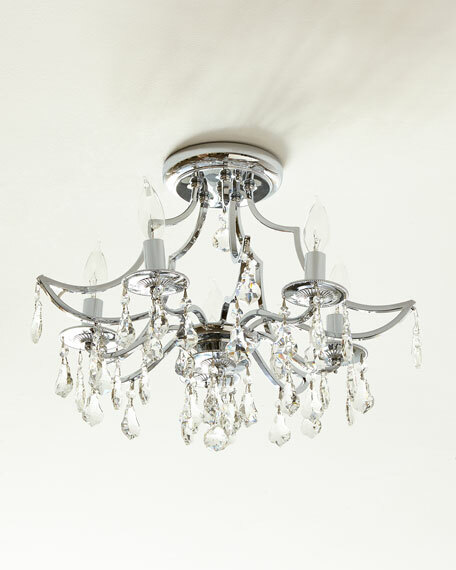 Polished chrome flush-mount light by Libby Langston from the Cedar collection. Approx. 15"H x 18.5"W x 18.5"D.
Uses five bulbs; 60-watt max. The Cedar Collection is a twist on traditional crystal. With its elongated frame and polished chrome finish, Cedar is not your typical crystal chandelier.